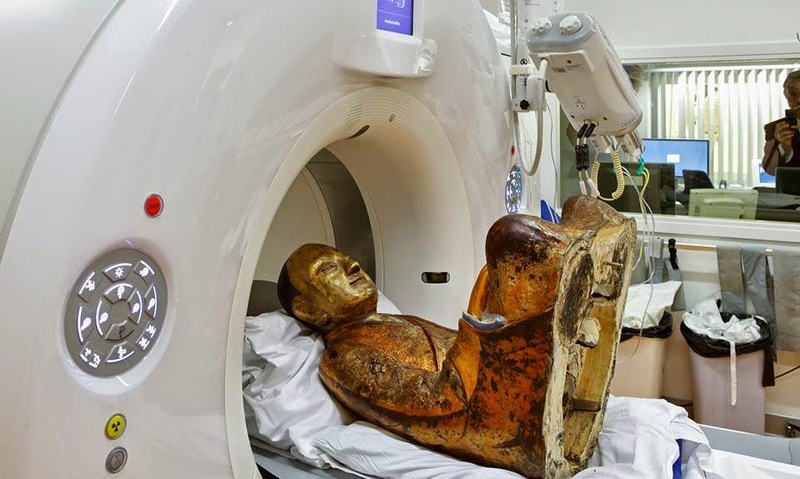 CT Scan Reveals that Statue of Buddha is actually a Mummy.. The leader of this study is the Amersfoort resident Erik Bruijn, an expert in the field of Buddhist art and culture and guest curator at the World Museum in Rotterdam. Gastrointestinal and liver doctor Reinoud Vermeijden and radiologist Ben Heggelman received the Chinese mummy at the hospital for internal examination on September 3rd. The mummy was part of the Mummies exhibition earlier this year and dates from the 11th or 12th century. The mummy is the mummified body of the Buddhist master Liuquan, who belonged to the Chinese Meditation School. The discovery of the mummy is of great cultural significance. 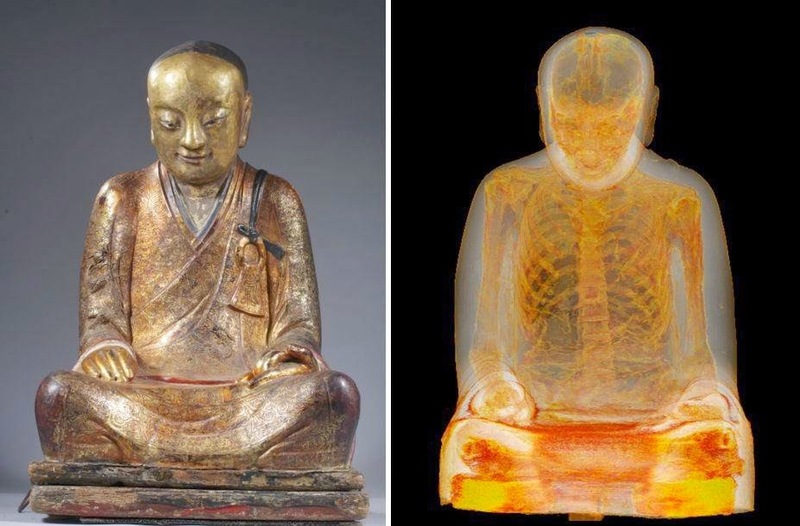 It is not only the only one of its kind, but also the only Chinese Buddhist mummy that is available for scientific research in the West.With an endoscope made specially available by Surgical Technologies in Didam, Vermeijden took samples of a yet unidentified material and examined the thoracic and abdominal cavities. He made a spectacular discovery – among all kinds of rotten material in the space where there had one been organs, he found paper scraps that are printed with ancient Chinese characters. Heggelman took a CT scan that beautifully shows how the mummy looks inside and took samples of bone material for DNA testing. The research will be published in the monograph that will appear on Master Liuquan. The mummy has since been taken to Hungary where it will be on display at the National Museum of Natural History in Budapest until May 2015.r 3rd. The mummy was part of the Mummies exhibition earlier this year and dates from the 11th or 12th century.